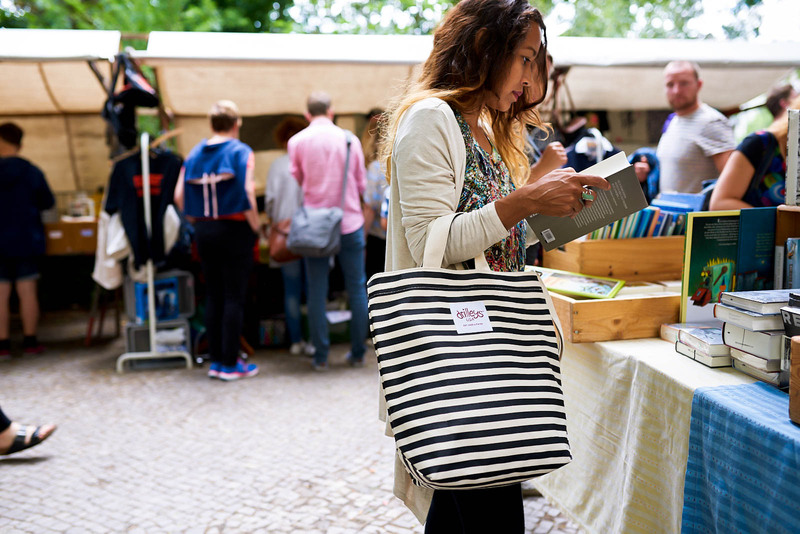 Take advantage of street markets with this summer shopping bag from Drilleys! I have to admit: I don’t like summer that much. I love the idea of summer, and the summer nostalgia hits every so often. But generally, it’s hot, and I’d always rather be cold. But the one thing I do love in summer are the outdoor markets. Flea markets, street markets. Markets for food, clothes, knick knacks, whatever you can dream of. I love the color and energy, and even if I don’t buy anything, I love just walking around. (Though I am a sucker for art fairs). This summer shopping bag from Drilleys is the perfect bag for these kind of summer adventures. Of course it’s not limited to that. But with a good, sturdy, eco bag by your side in the markets, it’s hard to go wrong. The tote featured in this post is a Drilleys standard eco tote. The material is excess industrial grade canvas, which makes the bags extra strong. And it also keeps the brand from making extra carbon waste! However, unlike many standard totes, this summer shopping bag has an extra piece of fabric at the bottom. This widens the whole bag and gives you much more space than most totes. More room for shopping scores, or maybe just lunch for a picnic! Also, because the fabric is a bit thicker and stronger than normal canvas, this bag holds its shape much better. As much as you can stuff into it, it won’t distort the bag. Finally, this tote also comes with a removable shoulder strap to make it easier to carry. Drilleys standard totes come in basic canvas, funky stripes, and a bright, beautiful blue. Summer isn’t always fun, but with this summer shopping bag, take a day to enjoy the markets and sunshine. Find out more at www.drilleys.com! Share the post "A Perfect Summer Shopping Bag: Drilley’s Eco Totes"
Posted in Blog and tagged canvas totes, drilleys, drilleys totes, eco canvas, eco canvas shopping bags, shopping bag, shopping totes, summer shopping bag, totes. Bookmark the permalink.